Henderson Community College offers a high-quality, targeted education to meet the professional and personal goals of all Kentuckians. In the fall of 1960, the Northwest Center of the University of Kentucky opened its doors for the first time to 256 Henderson, Union, and Webster County residents. 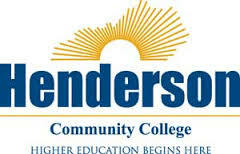 In 1964, the Northwest Center became Henderson Community College (HCC), a charter member of the University of Kentucky Community College System. HCC currently enrolls more than 2200 students in academic, technical and transfer programs and provides training for more than 4,000 citizens through its continuing education program.